Ask anybody who visits the Adirondack Park in upstate New York. The Fulton Chain of Lakes and the St. Regis Wilderness are favorite spots for canoe enthusiasts. Donn your favorite Kakadu clothing item and have at it. You will be stylish and comfortable at the same time. But for everybody that visits Adirondack Park and indulges in boating, windsurfing or just soaking up the undisturbed beauty of the park there is also somebody reclining in one of the popular Adirondack chairs. So comfortable. Probably one of the most popular backpacks I have ever seen and why not. The main compartment is so big you can stuff enough clothes for an overnight. 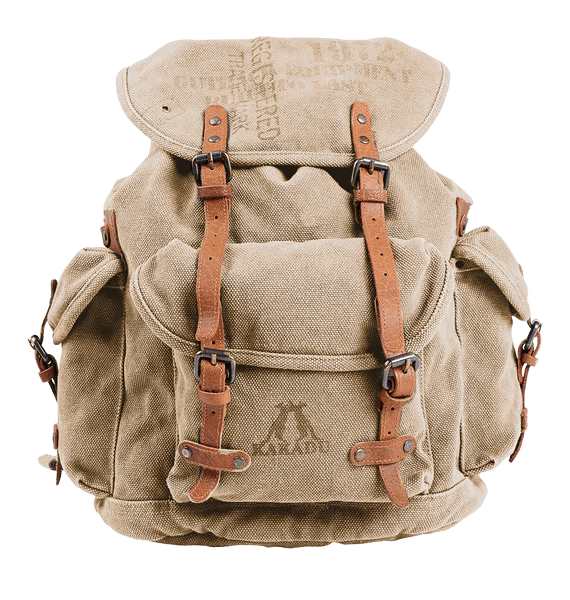 The Kakadu Backpack is mostly popular for the tobacco color. People just love the way it looks. It’s durable too! The leather straps and metal fasteners make this bag one that will last a long time. I love all of the pockets. I keep my keys in one pocket and my cell phone in the other. There is even an inner pocket for that secret stash. That’s right it’s a camera bag and a hand bag and it’s called a Kakadu Traders Utility bag. The Kakadu Utility bag has all of the versatility of the Kakadu Backpack yet smaller is size. 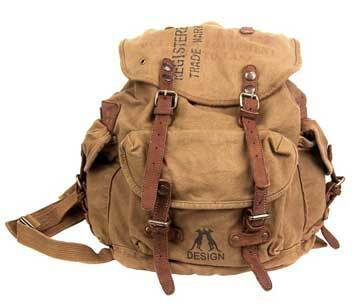 Durable canvas construction with leather straps these bags will last a long time. The exterior pockets can be opened with either the snap or leather strap. Perfect storage for your iphone, digital camera or Mp3 player. The roomy interior pocket will hold everything you need for a quick day trip. Kakadu bagsare built to last. If you want a shoulder bag or messenger bag, Kakadu Traders is the place to shop. When I first saw this bag it reminded me of the Pony Express. It looks like the same bag that horseback riders would use to deliver mail from coast to coast in ten days back in the 1860’s. That’s what is so unique about Kakadu bags. Their original design and workmanship is a thing of beauty that you will not find anywhere else. Now instead of holding bundles of mail, folks are using the Kakadu satchel bag to carry their netbooks. FYI, the 9L10 Kakadu Reflex duffle bag has been discontinued but I do have some sage and black duffle bags ready to ship. These won’t stay on the shelf for much longer. Hurry and get yours today. So this weekend ended with me having to make a road trip out west, flying from single digit temps to the upper twenties. I must say the perfect choice was to grab my Kakadu Bluey jacket to wear. Not only does the Kakadu Bluey look good, it’s wool blend kept me warm the entire trip. The Kakadu backpack was also a good choice as a carry on. It’s rucksack style fits under the seat or in the airplane’s overhead without issue. From now on when I travel I am taking Kakadu Traders with me. Kakadu bags make great travel companions. At Lorsey.com – Rugged Outdoor Wear and More we need to move some inventory and are now offering free shipping on a selection of Kakadu bags. For a limited time only you can get free shipping on the tobacco colored Kakadu Backpack. The backpack will be shipped to you via USPS Priority Mail. We also have some 10L15 Kakadu Utility bags and 5L2816 Kakadu Shoulder bags in tobacco available with free shipping. These won’t last long. I can remember way back a few years ago when I was commuting to work. It seemed like every day I would have packages to carry along with having to carry my lunch and other things as well. It was just a pain in the neck trying to play this balancing act while trying to maneuver through all the doors just to get inside the plant. Using my Kakadu backpack makes it so much easier to carry all of my essentials, lunch and all of the packages I need to ship. Once they’re gone they are gone for good. The Kakadu Traders Satchel bag has been redesigned. The major difference between the old style satchel bag and the new style is the buckle. 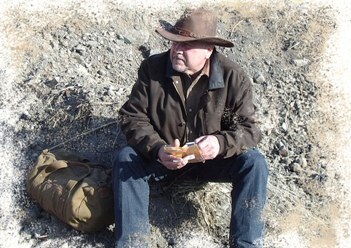 If you are a fan of the brass buckle then you need to jump on this sale. The new style satchel bag has snaps instead of buckles. Kakadu bags are still very popular and durable.